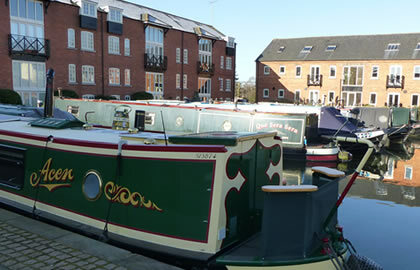 Cruise leisurely through rural and peaceful countryside to the famous Foxton Staircase Locks, about 2 hours away. 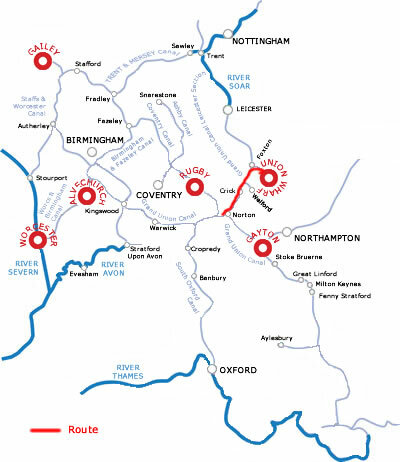 The Battle of Naesby 1645 was fought 2 miles east of Welford. Here Fairfax's New Model Army routed the Royalists under King Charles I, ensuring the end of the Civil War. It is 7 hours cruising to here. Meet the lock-keepers at the Watford Locks and they will cheerfully help you on your way through their complex set of locks. Watford Locks raise the canal to it summit level of 412 feet. Four of these locks form a staircase, with a 'one up one down' procedure. You still have 4 full days left, and only 16.5 hours to get back to Market Harborough, so you can cruise for 5-6 hours per day on the way back. Plan your arrival at the Watford & Foxton Locks for when the locks are open. If you want a change of scenery you can cruise back up to the Welford Junction & cruise for an hour to the village of Welford.